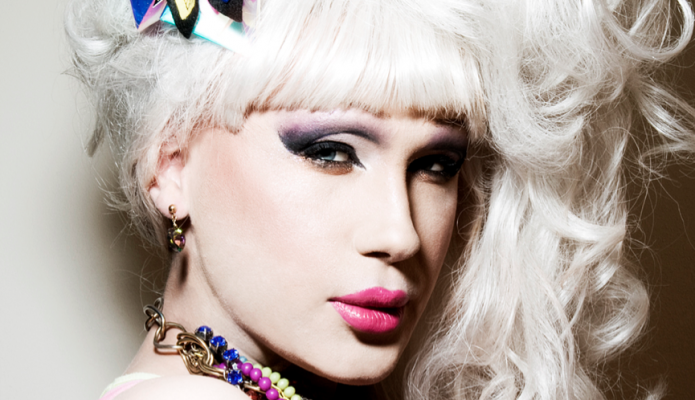 Jodie Harsh is the reigning Queen of Nightlife! Undoubtedly London’s most high voltage DJ, promoter and glamourpuss she has established club nights such as Circus in Soho and Shoreditch and counts Daisy Lowe and Perez Hilton among her friends. Our friend Jodie was born when Jay Clarke was at the London College of Fashion and her rise has been stratospheric, we caught up with Jodie to chat about style icons and dance floor disasters! But should guys take inspiration from Jodie for their grooming? Of course…she’s fabulous! Madonna is awesome. I know this has been said a million times, but she’s kept her career going for almost 30 years by constantly changing, she’s such a chameleon. She’s channeled everyone from Marie Antoinette to Marilyn Monroe to cyber-goths as a part of her marketing plans – very clever move from a shrewd businesswoman. And, of course, she is beautiful. Another predictable, but Kate Moss always looks great – total rock and roll royalty. She sets high street trends just by dipping out of her front door for fags wearing something she’s thrown together. We always recognise your flawless bold makeup, how do you nurture this look? I used to go for the ‘more is more’ approach, now it’s a little more considered. I spend ages blending the eye makeup, getting that socket-line just right. Sometimes it’s a little wonky in the elevator lift in my building so I have to dash back into my apartment to straighten it out before heading to an event. Which products do you use to maintain your skin? I use a mixture of really expensive, luxury products, and really cheap high street ones. 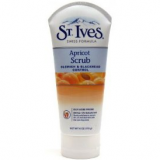 I use Olay cleansing cream to remove my makeup, and a scrub from St Ives to cleanse it. I tone my skin with Witch Hazel which is literally £2 per bottle from a chemist. 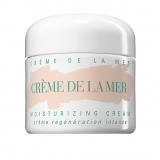 But then I’ll use a Creme De La Mer moisturiser and a Nars day cream. 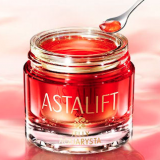 I love Astalift, which is essentially a facelift in a bottle. It really perks your skin up, and it’s a sort of jelly that feels really nice on the skin. As soon as you put it on – BOOM – your face goes tighter and you look 8 years younger! Notably you have a unique image, is your scent part of this look? Which fragrances most appeal to you? Absolutely – I always wear perfume. 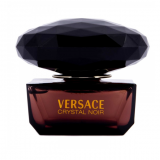 My main fragrance is Crystal Noir by Versace but I also wear Maitresse by Agent Provocateur. Both smell really sweet … I douse myself in them. Subtle is not the word…but I operate in a night time world where wall flowers miss out on the action! What is the difference between grooming yourself during the day and at night? 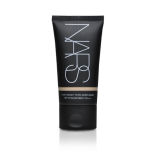 Six inches of MAC Full Coverage Foundation. Are you loyal to any products? 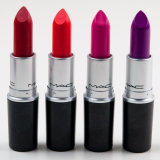 Absolutely – I’ve spent eight years going through the entire cosmetics world, working out what works for me. 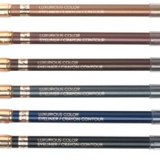 I’ll only use Revlon eyeliners for example, MAC lipsticks in about five colours (of which I have about twenty of each shade in my house), Illamasqua blushers, NARS nail varnish. I love to be tanned – but I’ll ONLY use St Tropez. I go for a spray tan and it’s the only product I’ve found that really works with your skin to give you a holiday glow, turning you the colour you’d go in the sun. Clever stuff. Club nights always bring out the wild side of even the most conservative characters. What is the most dramatic grooming disaster that you’ve seen on the dance floor? Makeup melting in hot parties. Not all clubs have air-con, which is just bizarre. But I’ve seen some pretty runny eyes and faces like car crashes. A spritz of hairspray on the face – especially the forehead – will prevent any visible movement of the makeup. It causes the odd spot, but you just add more makeup onto those, right? Over-plucking the eyebrows. It’s not a great look. I’m not one to talk, I have none at all, I draw mine on! Which products could you suggest that every man could benefit from? Is there a particular “London look” that differs from other regions? I think in the internet age everything catches on quite quickly. While most trends are born in London clubs and fashion, they’re being rocked the following night up North. You have such iconic and experimental hairstyles, what do you use to maintain those immaculate wigs? About 60 hair grips and a hell of a lot of hairspray – Fudge do a great strong-holding one and it smells AMAZING. Do you have any tips for guys to improve on their look? Which guys in the public eye do you feel are well groomed? David Gandy – utterly divine. Just the right amount of grooming, fantastic hair, always tanned, lovely teeth. Where should guys take their inspiration from for a clean image? Absolutely, without a doubt, me.